First cold, then wet and warm. Today, the smells that are muted during winter – scents of moisture, rotting, and decay are in the air as we walk about. Instead of being unpleasant, it shows all the hard work going on. The compost pile steams after a good turning, all those microbes eating away, creating black gold. If you put nitrogen on your fields, it will last a mere season. Fresh manure gives life for a full 12 months, however compost keeps feeding the grasses for eight or more years. We didn’t always realize this, and so much thought has gone into how to best collect the manure during winter feeding. 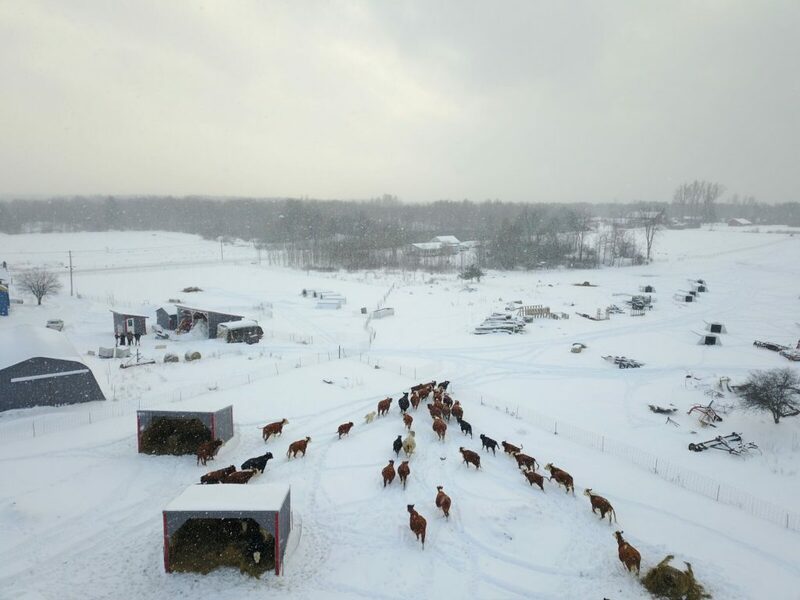 During the spring, summer, and fall animals fertilize as they go, but to preserve pasture from 1000 lb hooves that chop up those precious plant roots, we bring them to what we call the sacrifice paddock during winter. 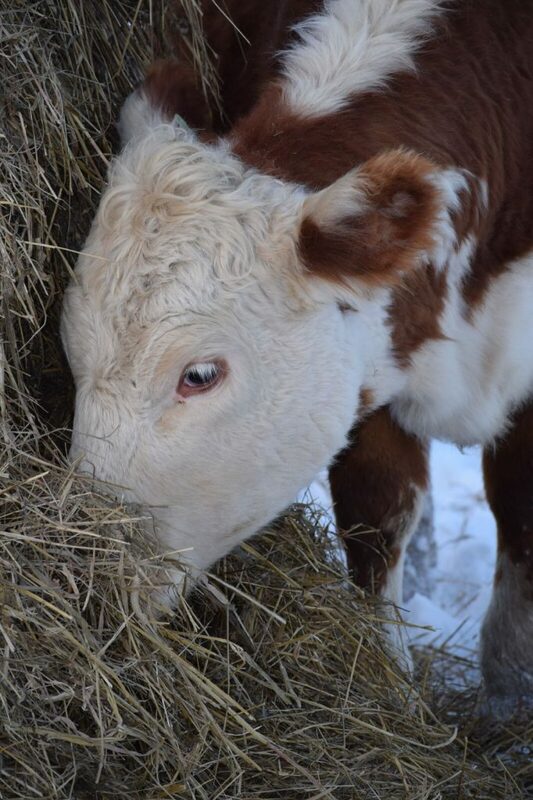 On great years, we feed bales on frozen ground over about 15 acres. Letting them find nooks in the wayside of trees they will happily demolish a 1500 lb wet bale in a few hours. On warm, wet years they stay on more of our natural granite outcroppings. We bed deeply with expensive bedding hay, but at least have the warm thoughts of the lovely compost to come as consolation. Taxes were prepped for the tax preparer and delivered. A lot of “oh” and “forgot about that’s” happened. You have to laugh, bills will always be with us. We found that this year, we spent a lot on fixing stuff. As in, the largest sheaf of receipts were the ‘repair and parts’. The Telehandler is almost paid off and we finally were forced to purchase the $2200 worth of tires to replace them after a rather impressive and final blowout that left her stranded. She also got a much needed overhaul and tune up. Besides her; a new delivery van was purchased, a shear plant ( machine to shear sheep with), 12 ton of gypsum was spread on the fields, a new-to-us army wagon to feed out bales during the fall when pasture is starting to wane, six loafing sheds that are working great!! ( can I say that, it is only half way through the season but I’m SO happy with them so far.) Cole purchased a larger yet chicken shed and stocked it with more hens, with more plans to expand again this year. So, tax season isn’t so bad after all. We all enjoyed a trip down memory lane and remembering what a full year of blessing we have had. 2018 Drone shot of the beef herd leaving the sheds for the bales in Bolder pen. Next time, some of our thoughts for this year. Lovely. I had one season where my compost was smoking successfully, it was magical! This picture is beautiful. Can’t wait to come visit again.